This insect is much more than a nuisance: a vector of diseases that tend to gain ground as climate changes and international travels boom. Eradicated from South Korea in the late 70s, vivax malaria came back twenty years ago and remains relatively low, but on the other side of the DMZ, 16,000 cases were noted in 2011, and the DMZ itself is a safe haven for our buzzing foes. Monitoring all 'mosquito infested areas' seems impossible when any flower pot can become a nursery, and a vague grade should have an effect similar to UV forecasts: just an incentive to get extra protection on certain days. Made in China or not, smog is likely to kill many more people in the short term, and it deserves even closer monitoring (see "Air Pollution: New Measures, Please"). This is not about bringing happiness to the work place, but about a place to help those who suffer at work. Of course, tackling the causes would be more efficient than curing the consequences, but we truly are in a state of emergency. The center is located in Hawolgok 2-dong, Seongbuk-gu, not far from a new town where a wave of suicides caught many desperate people last year. If in many ways, working conditions have dramatically improved in Korea, a growing proportion of the population is under financial and social stress, and like in most developed nations, the middle class is confronted to the high levels of insecurity it was supposed to have overcome decades ago. Let's be clear: all restaurants should be smoke-free areas. And the 'separate smoking rooms' are not only porous but disgraceful for both smokers and non-smokers. 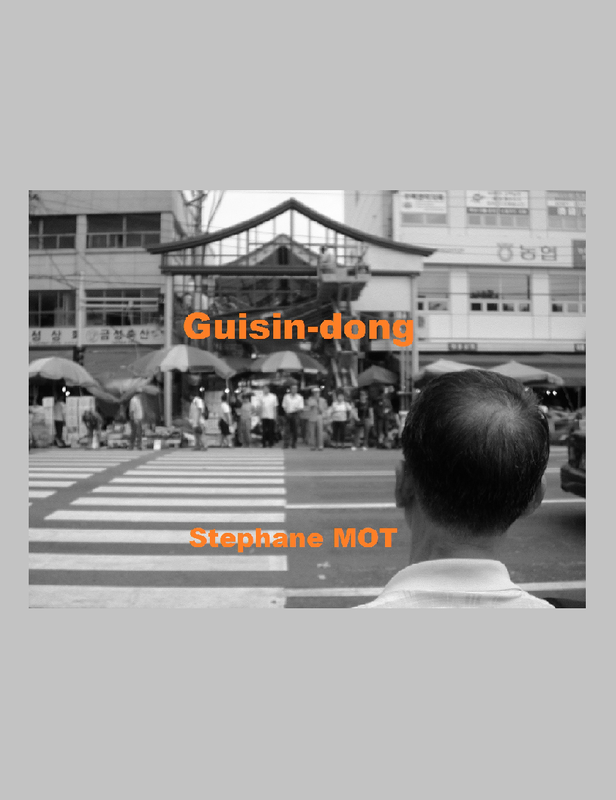 Yes, Korea has done a great job reducing smoking rates, and Seoul has considerably promoted smoke-free zones, but second hand smoke remains pervasive (see "The Fight Against Passive Smoke Continues"). Beyond this weird label is something more than a women's shelter program: insecure spots shall become welcoming homes, transforming whole neighborhoods into citizen-friendly areas. If you're not a Seoulite, you must start thinking this city is very dangerous, with swarms of killer mosquitoes and packs of rapists at every corner! Know that Seoul is very safe compared to other big cities, but of course crimes do happen, and adding a 'guardian angel' function to 600 CVS could make a difference. At least it adds sense at the village - local community level, and that's a more positive solution than selling guns to every citizen! Since you already had a "Sneak peek inside Dongdaemun Design Plaza and Park", I won't play it again, Sam. This laundry list tells it all: confronted to reality, the initial '100% design' promise evolved into the now classic 'how are we gonna fill these empty spaces?' conundrum. So we line up the usual suspects: art, retail, business, leisure, and hope that someone in the audience will recognize a familiar mug. 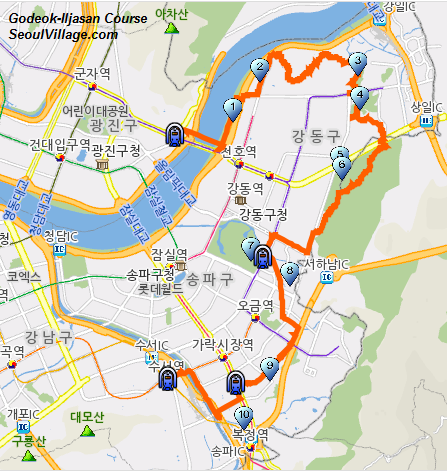 35.2 km added to Seoul mountain trails, that's significant. And this time, instead of focusing on the venerable Seoul fortress holders (Bugaksan, Inwangsan, Namsan, Naksan...), the spotlights honor outer mountain rings: Suraksan and Buramsan (Nowon-gu), Gureungsan and Achasan (Gwangjin-gu, Jungnang-gu, Nowon-gu), Godeoksan and Iljasan (Gangdong-gu, Songpa-gu), and the Daemosan-Guryeongsan-Umyeosan (Gangnam-gu, Seocho-gu). There's always a subway or bus station nearby, surprising views from above, and interesting things to see and to eat in between. 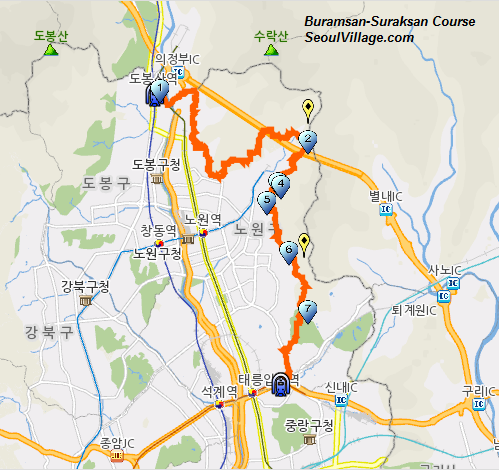 I have a special fondness for Buramsan, but again, I love all Seoul mountains... except the overwhelming "Budongsan" of course! ... and finally (?) Daemosan, Guryeongsan, and Umyeosan. Time for an update about this Yonsei-ro experience (e.g. "Yonsei-ro the first street in Seoul to ban cars in its transportation mix", followed by "Seobu Line confirmed as Seoul's LRT top priority"). The new and improved street was actually re-inaugurated in late December, with a festive Christmas market. 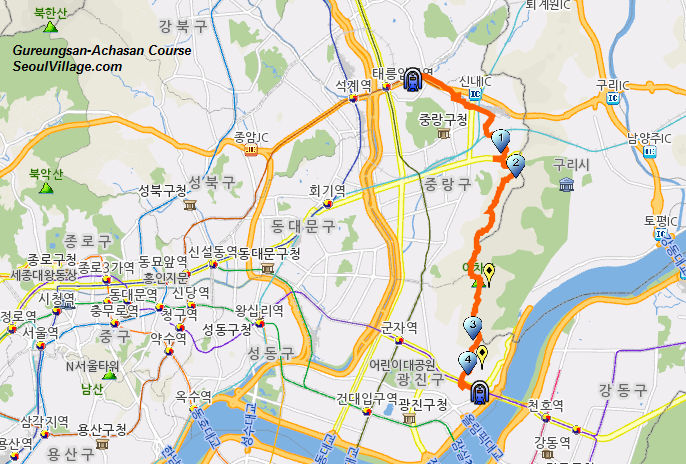 The changes seem positive at the local level, and the traffic around the neighborhood less congested than I expected, even if Seongsan-ro and Sinchon-ro remain often saturated. Note that Yonsei University's main gate is less a jam now that two side gates have been opened. One-stop complaining / suggestion box soon a reality in a city that usually scores well on e-government issues. And remember that Seoul Global Center gathers the feed back of foreign residents in many different languages.